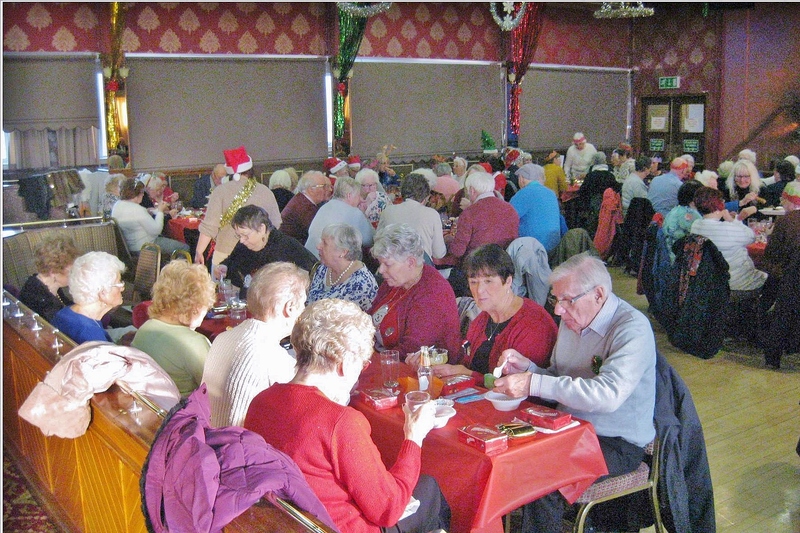 On Friday 14th December 2018 a charity Christmas Dinner took place at Sheldon Heath Social Club with live entertainment and a visit from Father Christmas. 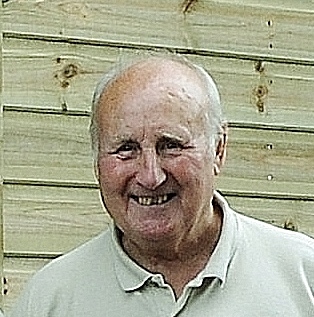 120 people attended from various organizations, Yardley Widows, Sheldon Library, St Leonard’s Church Marston Green and various local senior citizens from the Sheldon community. 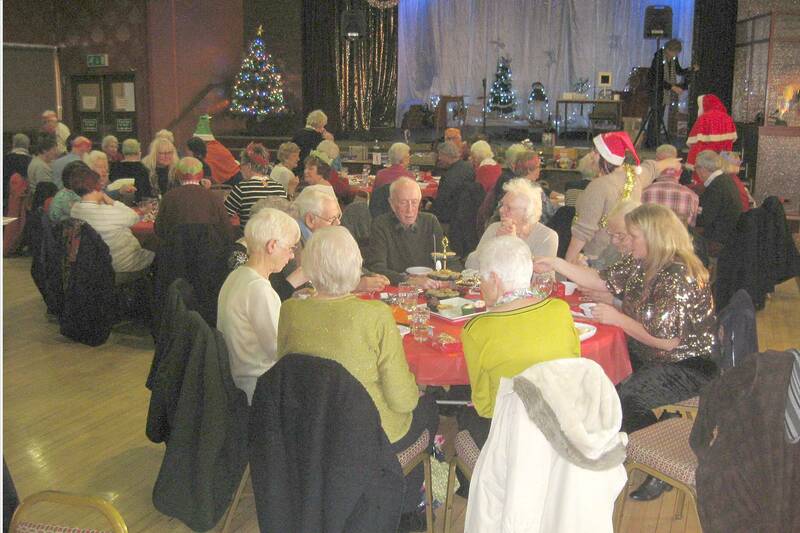 This wonderful Christmas Dinner provided and cooked by the Bar & Catering Manager Wendy and her staff at the Sheldon Heath Social Club. 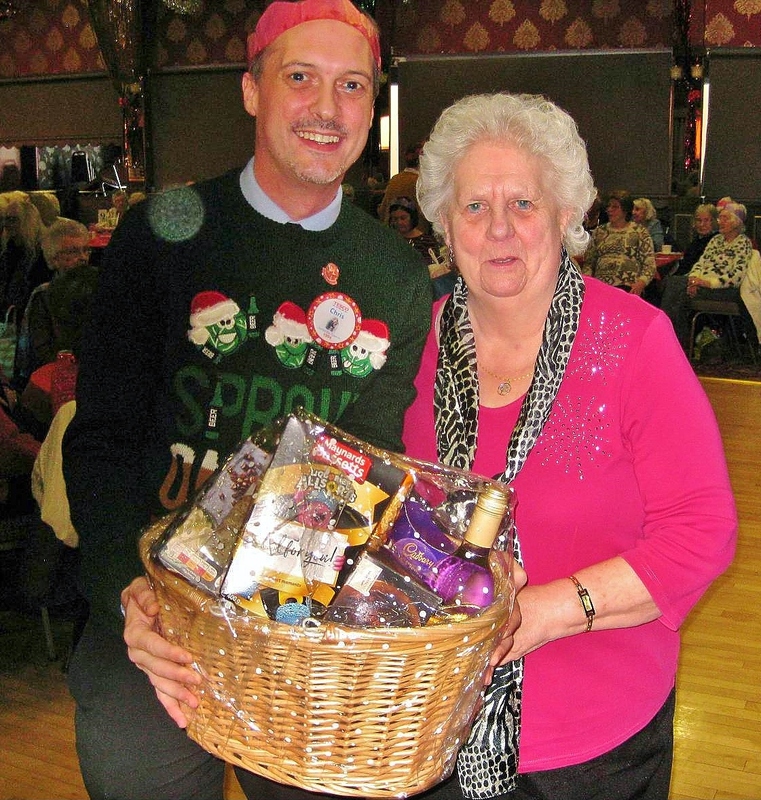 This helped to raise a fantastic £300 for the British Heart Foundation, Diabetes UK and Cancer UK. 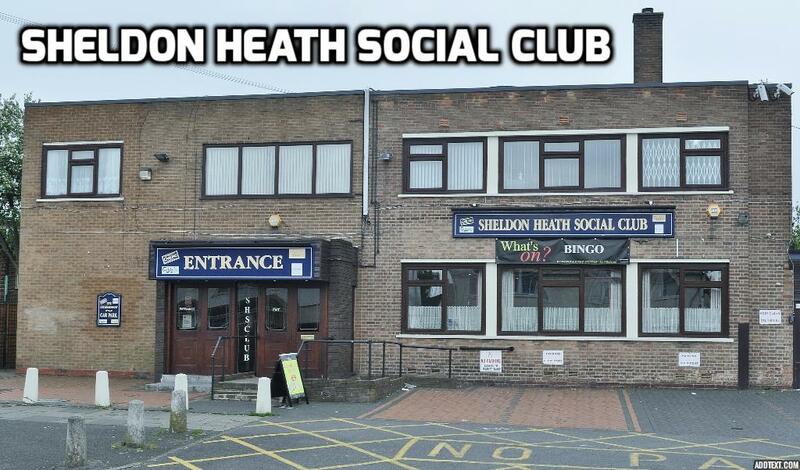 I would personally like to thank the staff of Sheldon Heath Social club for all their hard work. 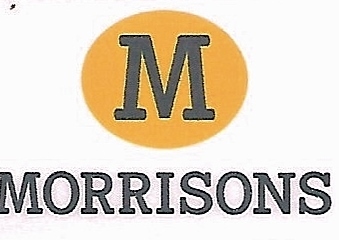 This event would not have been such a success without the support from Tesco, Morrisons and the CO-OP, their donations of prizes and vouchers was very much appreciated. 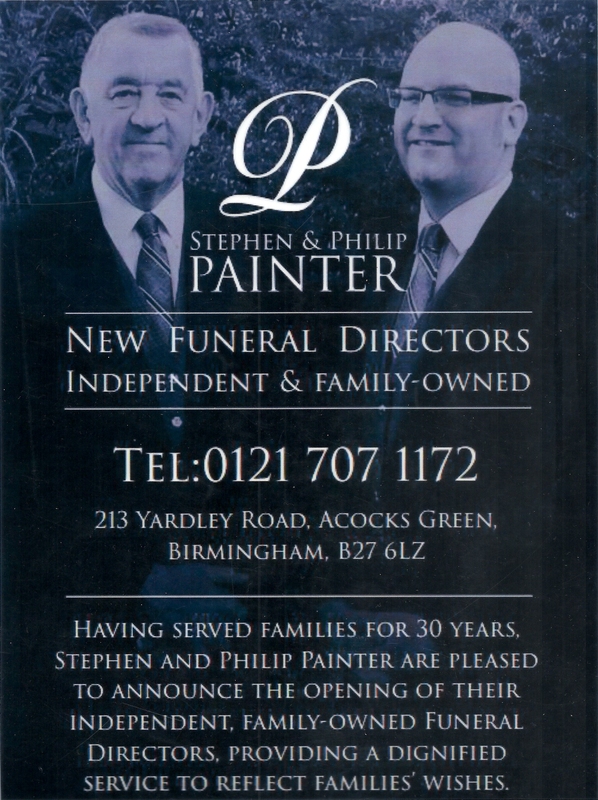 It would be remiss of not to say a special thank you to Painters Funeral Directors, Stephen & Philip who made a generous donation of £150. Thank you to everyone for making it a lovely, enjoyable afternoon. 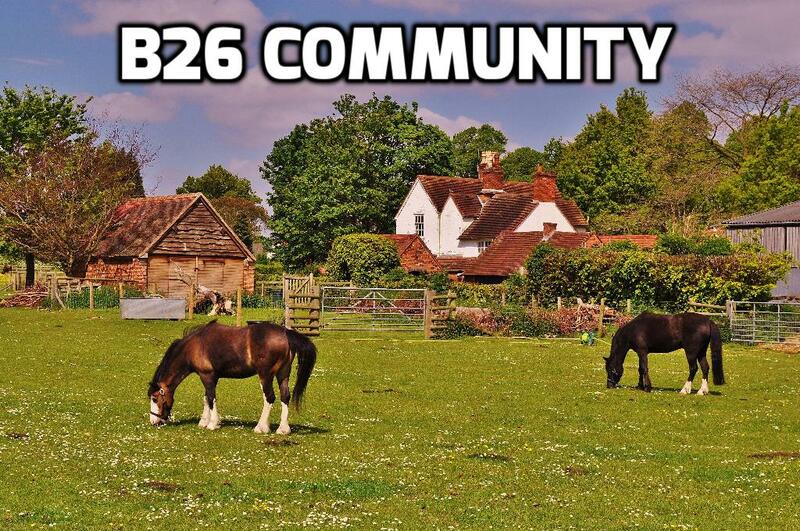 B26 would like to also thank Brian and everybody who helped raised this money for charity.